Sneaker culture is an impenetrable and occasionally confusing fortress of young men and strong opinions; to the untrained eye, a sneaker is a sneaker is a sneaker. Today, though, I think it’s safe to say that these new LeBrons—designed by women, for women—are objectively hideous. 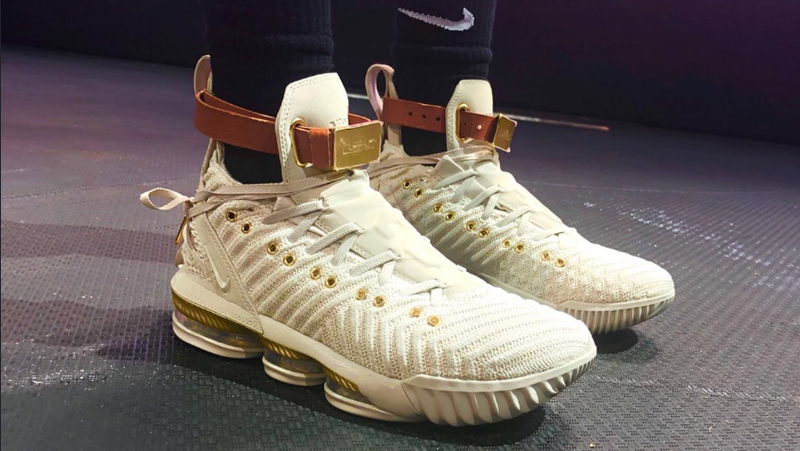 The HFR x LeBron 16 is the first LeBron made exclusively for women, and was designed as a collaboration between LeBron and Harlem Fashion Row. The shoes themselves were designed by three women—Kimberly Goldson, Felisha Noel and Undra Celeste Duncan, who were selected for their “passion for sport.” The shoes feature: a belt around the ankle, which must be undone every single time you’d like to remove them. Laces that seem complicated and superfluous—decoration more than actual function. Again, the belt—positioned precisely to rub against the ankle flesh if paired with bare skin. A comment on the patriarchy, perhaps? A nod to the chains women still struggle against? Is this what LeBron thinks women want? When I think of a sneaker for me, a woman, these are... not what I have in mind. “Being the son, husband and father of strong African American women, I felt like this was something I wanted to do for them and for all the strong women out there who are succeeding despite what might be stacked against them,” James said in a press release. Ah. Thank you. A shoe for me. You made me a shoe! A basketball sneaker with gold accents, snakeskin trim and shackles. Just what women want.